A term coined by Leopold. This refers to a set of values that can be practiced by partaking in any activity that reminds a person of the past, and a time when people were forced to live off—and thus with—the land. 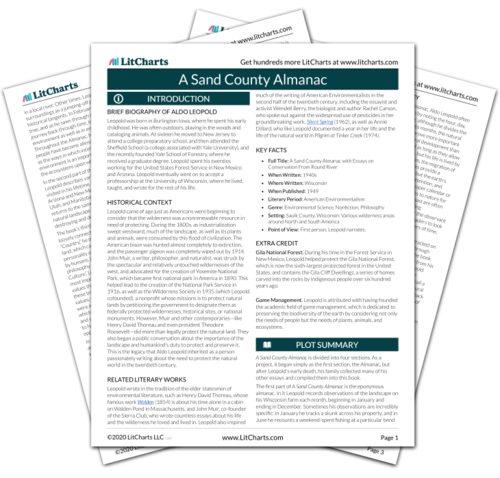 The timeline below shows where the term Split-Rail Value appears in A Sand County Almanac. The colored dots and icons indicate which themes are associated with that appearance. Sanders-Schneider, Ivy. "A Sand County Almanac Term: Split-Rail Value." LitCharts. LitCharts LLC, 27 Mar 2018. Web. 19 Apr 2019. Sanders-Schneider, Ivy. "A Sand County Almanac Term: Split-Rail Value." LitCharts LLC, March 27, 2018. 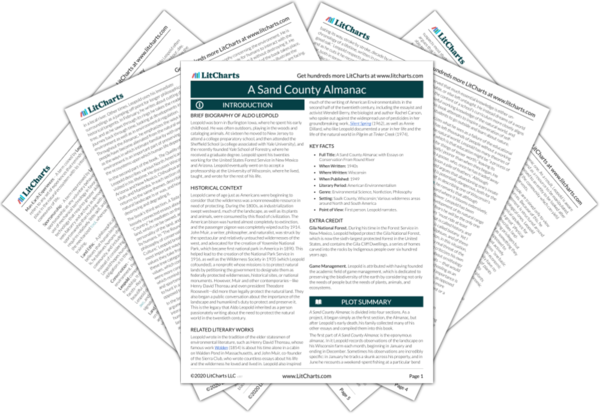 Retrieved April 19, 2019. https://www.litcharts.com/lit/a-sand-county-almanac/terms/split-rail-value.